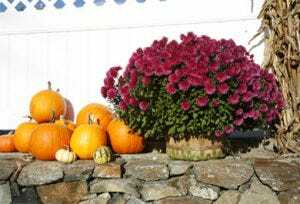 While you can’t best Ogunquit in the Fall with Marginal Way and OgunquitFest scarecrows to enjoy, it is always a fun to take in a fall festival. HarvestFest in York is just minutes away and a great take for a late October getaway. While wandering Short Sands Beach, stop by the ball field and take in the Don Campbell Band and more. Live music to tap your toes to and steps from our next suggestion . . .
Start that Christmas Shopping a little early with outstanding juried crafts and antiques. All the items are hand crafted, with many made right in Maine. With over 100 vendors to choose from, you are sure to find a treasure or two or three . . .
Food in Maine is delicious. From Bob’s famous clams to When Pig’s Fly bakeryitems, bring your appetite to try it all. There’s traditional festival fare like fried dough and hot dogs, but there’s also Maine kettle corn and lobster mac ‘n’ cheese waiting. Follow the signs to the Union Congregational Church and expect to see face-painting, alpacas, pony rides, pumpkin decorating, games and other activities. The train rides on the roaming railroad will be just inside the York’s Wild Animal Kingdom entrance. Plus all the rides and attractions will also be open at the Wild Kingdom. Kids most definitely rule at KidFest! A National Historic Landmark, the Gaol was built beginning in 1719. Experience the atmosphere of colonial Maine and learn about the criminals incarcerated here and their crimes. Heck, you could even get your picture taken in the stocks! Still not sure about HarvestFest? Add a little extra fall fun with a hike at Mt. Agamenticus or a drive to the top to see the foliage. Southern Maine from this view is absolutely charming. Be sure to bring your camera. There really is nothing as refreshing as the crisp air, making it perfect for enjoying the outdoors or walking by the sea. If you’re thinking of visiting our hotel in Maine in October, to enjoy a cozy cocktail by the pub fireplace or head to Maine for family fun, check out our HarvestFest package and great hotel room choices with a central location.